Skin discolorations are a common problem for many people. There are several causes for the skin darkening such as scars, aging, genetics, side effects of medications and illnesses. Some skin discolorations are minor, but others are quite noticeable. The best way to get rid of these discolorations is to lighten the skin. There are many skin lighteners and skin bleaches on the market. 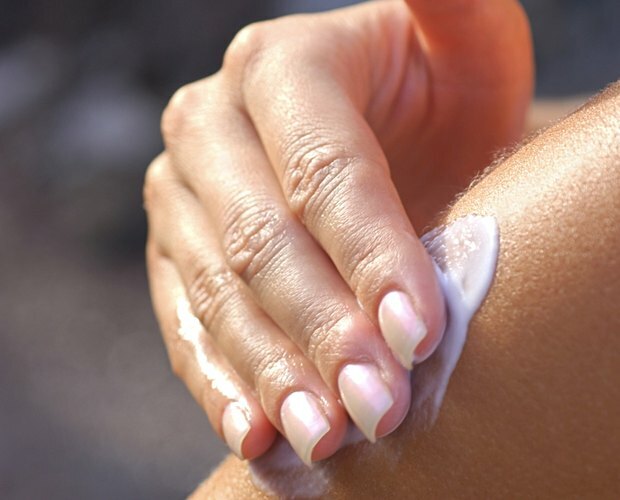 These products contain chemicals and natural substances that are safe for bleaching the skin. Not all products work for all skin discolorations. But a few are inexpensive and easy to use and offer results in a few weeks to several months. Apply lemon juice to the skin with a cotton ball. Lemon juice is a well-known folk remedy for bleaching freckles, age spots and other darkened skin areas, according to the Doc Shop website. Apply the lemon juice a few times every day for several weeks. Apply hydrogen peroxide to the skin with a cotton ball. Hydrogen peroxide is a known bleach for the hair care, skin care and paper bleaching industries. Use only 3 percent hydrogen peroxide on the skin. Apply a few times a day for best results, according to the Hair-N-Skin Care website. Hydrogen peroxide is an alternative to lemon juice. Apply a skin cream with hydroquinone. Hydroquinone is a chemical used for lightening the skin. In its article “Age Spots (Liver Spots),” the Mayo Clinic suggests using products made with hydroquinone to lighten the skin. Over time this chemical bleaches the skin and offers more dramatic results than lemon juice or hydrogen peroxide. Discontinue use of any skin cream that causes a rash. Some people have a reaction to the hydroquinone.